Robert Alda (born Alphonso Giuseppe Giovanni Roberto D'Abruzzo; February 26, 1914 – May 3, 1986) was an American theatrical and film actor, a singer, and a dancer. He was father of actors Alan and Antony Alda. Alda was featured in a number of Broadway productions before moving to Italy during the early 1960s. He appeared in many European films over the next two decades, occasionally returning to the U.S. for film appearances such as The Girl Who Knew Too Much (1969). Alda, an American of Italian descent, was born as "Alphonso Giuseppe Giovanni Roberto D'Abruzzo" in New York, New York, the son of Frances (née Tumillo) and Antonio D'Abruzzo, a barber born in Sant'Agata de' Goti, Benevento, Campania, Italy. He graduated from Stuyvesant High School in New York in 1930. He began his performing career as a singer and dancer in vaudeville after winning a talent contest, and moved on to burlesque. Alda is known for portraying George Gershwin in the biopic Rhapsody in Blue (1945) as well as the talent agent in the Douglas Sirk classic Imitation of Life (1959). He was very successful on Broadway, starring in Guys and Dolls (1950), for which he won a Tony Award, and in What Makes Sammy Run? (1964). He was also the host of the short-lived DuMont TV version of the game show What's Your Bid? (May–June 1953). Alda's first wife, and mother of actor Alan Alda, Joan Browne, was a homemaker and former beauty pageant winner. Alda was married to his second wife, Flora Marino, an Italian actress whom he met in Rome, until his death. Alda made two guest appearances with his son Alan on M*A*S*H, in the episodes "The Consultant" (January 1975) and "Lend a Hand" (February 1980). The latter episode also featured Antony Alda (1956–2009), his younger son by his second wife. Alda appeared in an episode of The Feather and Father Gang in 1977. Alda died on May 3, 1986, aged 72, after a long illness following a stroke. ^ Strait, Raymond (1983). Alan Alda: A Biography. New York: St. Martin's Press. pp. 7–9. ISBN 0-312-01703-0. ^ Alda, Alan. "Alan Alda TV Legends Interview, Part I (13:25-14:30)". Archive of American Television. Academy of Television Arts and Sciences Foundation. Retrieved 17 February 2014. Wikimedia Commons has media related to Robert Alda. George Gershwin was an American composer and pianist whose compositions spanned both popular and classical genres. Among his best-known works are the orchestral compositions Rhapsody in Blue (1924) and An American in Paris (1928), the songs Swanee (1919) and Fascinating Rhythm (1924), the jazz standard I Got Rhythm (1930), and the opera Porgy and Bess (1935) which spawned the hit Summertime. Loretta Jane Swit is an American stage and television actress known for her character roles. Swit is best known for her portrayal of Major Margaret "Hot Lips" Houlihan on M*A*S*H, for which she won two Emmy Awards. Robert Archibald Shaw was an English actor, novelist, and playwright. He was nominated for an Oscar and a Golden Globe for his role as Henry VIII in the drama film A Man for All Seasons (1966). He played the conned mobster Doyle Lonnegan in The Sting (1973), and portrayed the shark hunter Quint in Jaws (1975). Steve Lawrence is an American singer and actor, best known as a member of a duo with his late wife Eydie Gormé, billed as "Steve and Eydie". The two appeared together since appearing regularly on Tonight Starring Steve Allen in the mid-1950s until Gormé's retirement in 2009. 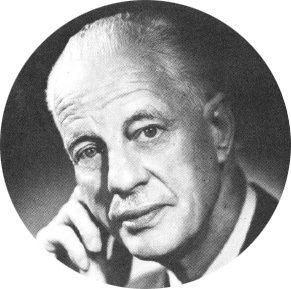 Robert Russell Bennett was an American composer and arranger, best known for his orchestration of many well-known Broadway and Hollywood musicals by other composers such as Irving Berlin, George Gershwin, Jerome Kern, Cole Porter, and Richard Rodgers. Francis Xavier Aloysius James Jeremiah Keenan Wynn was an American character actor. His expressive face was his stock-in-trade; and, though he rarely carried the lead role, he had prominent billing in most of his film and television roles. Jacob "Jack" Kruschen was a Canadian character actor who worked primarily in American film, television and radio. Kruschen was nominated for the Academy Award for Best Supporting Actor for his role as Dr. Dreyfuss in the 1960 comedy-drama The Apartment. Sheldon Leonard Bershad was an American film and television actor, producer, director, and writer. David Wayne was an American stage and screen actor with a career spanning over 50 years. 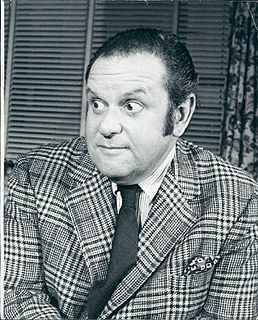 Jack Weston was an American actor. He was nominated for a Golden Globe Award in 1976 and a Tony Award in 1981. Rosemary DeCamp was an American radio, film, and television actress. Robert Douglas Finlayson, known professionally as Robert Douglas, was an English stage and film actor, a television director and producer. Vito Giusto Scotti was an American character actor who played many roles on Broadway, in films, and later on television, primarily from the late 1930s to the mid 1990s. He was known as a man of a thousand faces for his ability to assume so many divergent roles in more than 200 screen appearances, in a career spanning 50 years. He was known for his resourceful portrayals of various ethnic types. Born of Italian heritage, he was seen playing everything from a Mexican bandit, to a Russian doctor, to a Japanese sailor, to an Indian travel agent. Rhapsody in Blue is a 1945 fictionalized screen biography of the American composer and musician George Gershwin released by Warner Brothers. Eduardo Ciannelli, sometimes credited as Edward Ciannelli,, was an Italian baritone and character actor with a long career in American films, mostly playing gangsters and criminals. Joan Shawlee, also credited as Joan Fulton, was an American film and television actress. Alan Alda is an American actor, director, screenwriter, comedian and author. A six-time Emmy Award and Golden Globe Award winner, he played Hawkeye Pierce in the war television series M*A*S*H (1972–1983). He has also appeared on television programs such as Scientific American Frontiers, The West Wing, and 30 Rock, and in films such as Same Time, Next Year (1978) and Crimes and Misdemeanors (1989). He also experienced success as a director with 1981's The Four Seasons. In 2004, Alda was nominated for the Academy Award for Best Supporting Actor in The Aviator. Antony Alda also sometimes "Tony" was an American actor who grew up in a popular acting family. The son of Robert Alda, he was born in France. His early studies were in Rome and he finished at The Juilliard School in New York City. A prolific actor, he appeared on stage, in film, and on television. His career culminated in writing, directing, and performing in Role of a Lifetime. He died at age 52.